There is nothing like good friends…Heidi captures it perfectly! I couldn’t wait to put them in a vase. I had picked a few sprigs and blossoms in the field and mixed in ordinary weeds which had grown on the side of the path. 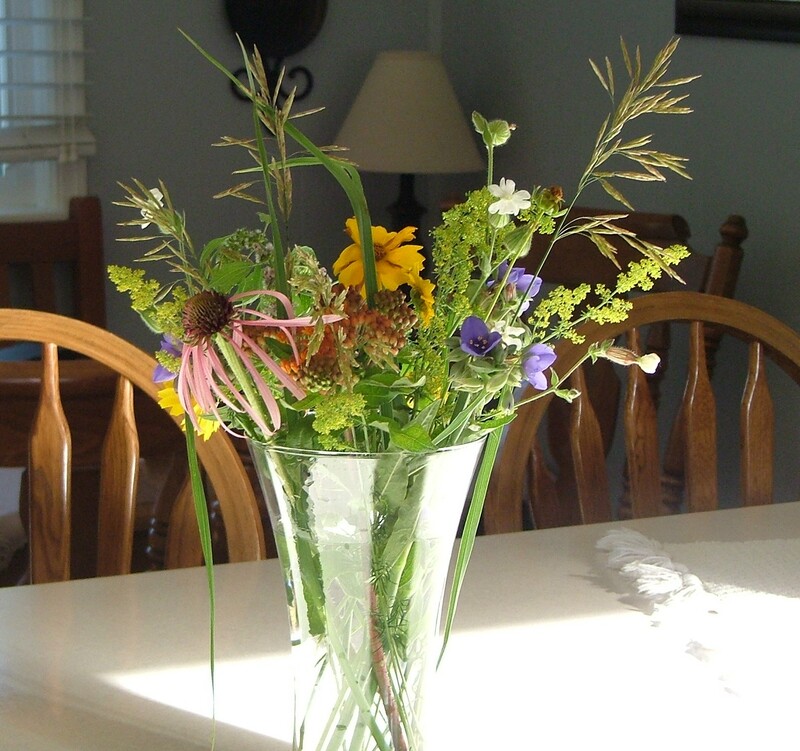 A single coneflower, spiderworth, orange milkweed, and tickseed made a beautiful arrangement. I took a vase and filled it. Just a few weeks prior, my dear friend gave this simple vase to me. We were cleaning her house for the last time before she moved. It was a busy, but sad morning. “Would you like this vase? If not, I will toss it.” The vase had missed making it into a box. Now it is sitting on my table. I am remembering my sweet friend and what it means to be one. I think a good friend is much like a vase. Posted in Uncategorized and tagged christianity, friend, friendship, Hope. Bookmark the permalink.